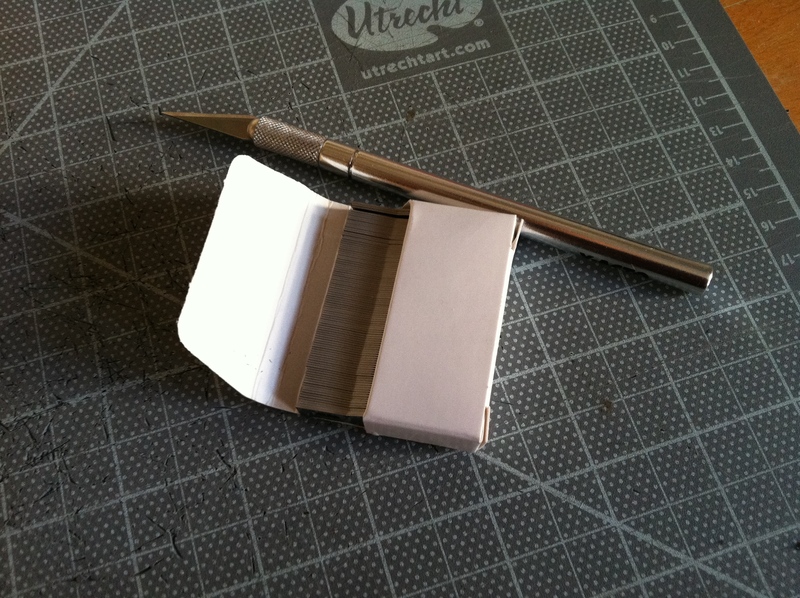 As we continue to work on building Saudade, my favorite tool has to be this simple X-acto knife and box of blades. When you’re cutting detailed puppets or crankie scenes, a sharp blade is absolutely essential. It’s easy to switch blades quickly with this knife and having a full box of blades means I can pull out a fresh one every few minutes. With shadow puppets, you want every line to be smooth and clean, so it appears as clearly as possible to the audience. This is my favorite tool for making that happen! You can see Saudade as part of the 2015 Atlas INTERSECTIONS Festival on February 28 at 2:00pm and March 7 at 7:00pm. Performances will be at the Atlas Performing Arts Center on H St. NE. See you there!